Many vacationers have formed a bond with a particular resort and have, or are approaching, a longevity milestone. Here are some worthy entrants that I have found. If you know of individuals or families who have stayed at the same resort consistently for 25 years or more, and who wouldn’t mind having their names in the Hall of Fame, please contact me with details and I will post their story here. 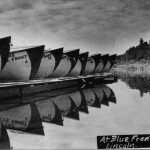 The St. Pierre-Schilling families perhaps had the longest records as guests at the Blue Front Resort, which was located on Lake Alexander, near Little Falls. The St. Pierres visited first in the 1930s and returned each year until the 1970s. The Schilling family continued renting a cabin every summer until the resort closed in 2003. The Blue Front Resort was converted to a planned unit development community in 2004. The Schilling family continued their vacationing tradition by buying one of the cabins. Cy Solberg and his wife Betty, have vacationed for 57 years at Little Norway Resort, on Little Mantrap Lake. 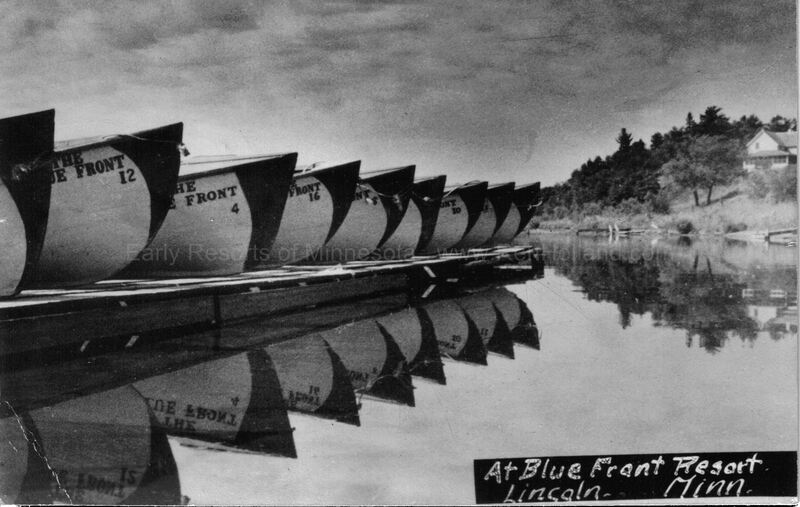 The Solbergs were family friends of Lloyd and Ida Thompson, who built Camp Lloyd starting in the late 1940s. 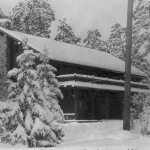 It later became Little Norway Resort. One couple has been coming to Itasca Park since 1959, renting the same Douglas Lodge cabin each year! 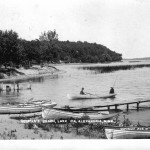 A special enjoyment that caused their repeated stays was hearing the night calls of the loons on Lake Itasca. I hope to learn more about this special couple and their 54 year milestone when I can get their names. 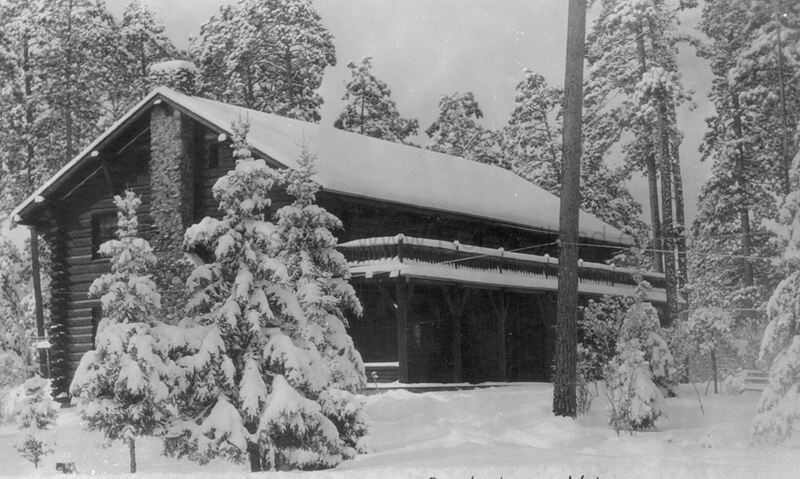 The Olsons started their resort in 1939. Many guests came from Rock Island, Illinois including the Al Shafer family, which returned each summer for 50 years. Grace Olson operated the resort until she passed away in 2008 at age 92. One family probably holds the record for continued returns to the same resort. 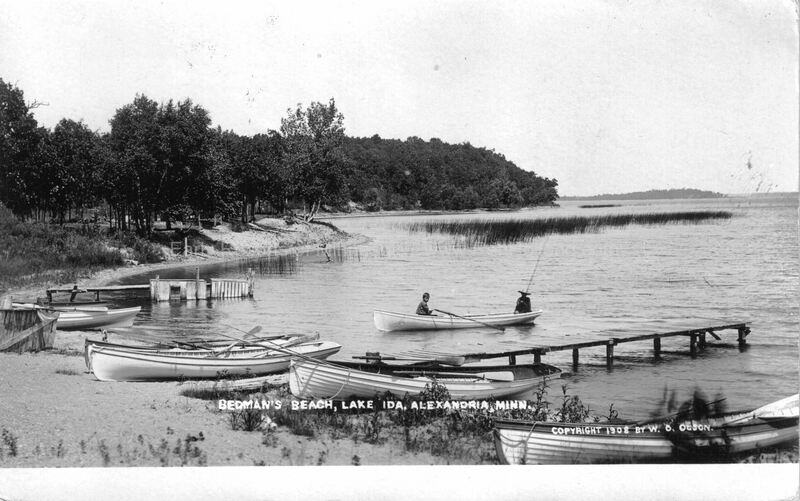 In 1932 Walt Anderson began coming to Bedman’s Beach Resort on Lake Ida, near Alexandria. He returned each year for at least 63 years. For over 40 years, he and his family stayed in the same cabin. Bedman’s Beach was one of the state’s oldest resorts under continuous ownership. It closed in 1998.